Apprentice of beekeeper tends to go to extremes. From the “oh, I’m afraid!” to “what’s inside?”. Of course, the first time bee stings can cause pain. Sting, not bites, the bee has no teeth, at least, those who are bred by people. Somewhere in the jungle without a live bee stings, but with the mandibles, they painfully bite human skin, but it is far from us. Beekeeping – the occupation, where no pain just will not do, if you just have not got inherited a diving suit. Tight clothing or safety nets, or even rubber gloves don’t save sometimes. 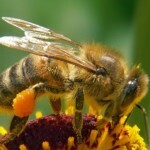 Over some time, your body will respond to bee venom strengthening immunity. You’ll be ill less and start to seek from time to time to get under the bee “attack“. The main mistake of apprentice of beekeeper – learn all the tricks already in the first year and will certainly test his knowledge in practice. Miracles do not happen. 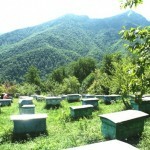 Beekeeping, like any craft, it is necessary to learn more than one year. Much of what will you do, the first time will look inept and sloppy. Do not despair. You do not work for show! 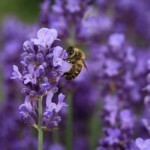 We will give you here our guide for beekeeping. What do smart people say? Only he who does nothing makes no mistakes. Bees will teach you. The main thing – to love them and the work which you are doing. And the distance from the novice to the experienced beekeeper is different for everybody. Three years is enough for one, and the other will not gain the mind in fifteen years, only destroy one family at a time. In short, it all depends on the personalities of the people. The most important is not to harm the bees. The hive is not a toy that you want to analyze and understand how it all works. Just 2-3 times a week you inspect the nest. Overabundance of feelings guarantees to lead to a breach of the thermal regime in the nest, distracts bees from the work they perform, slowdowns growth of colonies. The quality of care for the bees doesn’t depend on the number of inspections. It is important not only to reduce the number of examinations, but also to do it quickly and accurately. 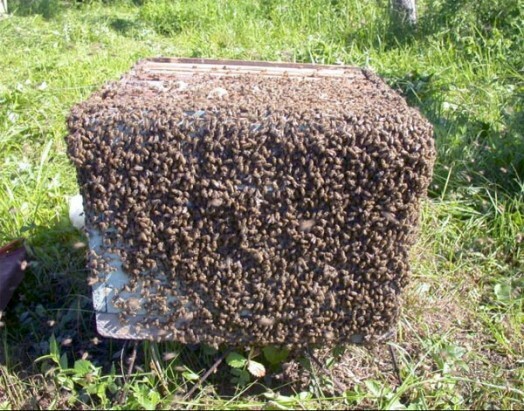 To examine, for example, bad overwintered bee colony, it takes about 5 minutes for an experienced beekeeper. And only 10 minutes for spring test of execution of the work of colony, which will provide a normal life for a family for three to four weeks. It may take much longer for novice beekeeper. If the novice beekeeper have lack of time and no mentor, it would be better to take care of the bees in the most simplistic way, gradually getting used to the work and improving skills. 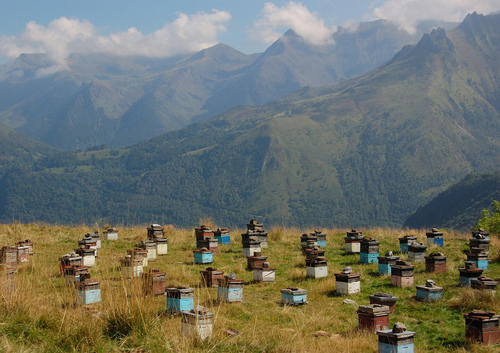 Depending on the terrain and weather, visiting the nests and work in the apiary is different, but the meaning of such inspections is the same. A simplified version of work with a colony. The first discovery of the nest – spring inspection of bee colonies from mid-April to early May. 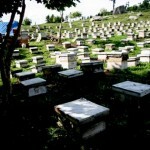 During its implementation check the general condition of the family and the presence of the queen bee. 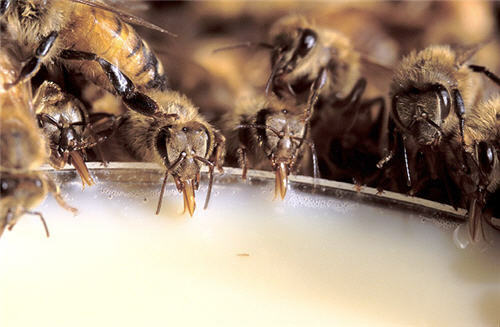 If required, the colony is transplanted into clean hives with feeding sugar syrup and help to get warm. First inspection of the family requires from 6 to 10 minutes for each colony. The second time you open the hive is the second half of May. Your task is to extend the main nest with one extension. 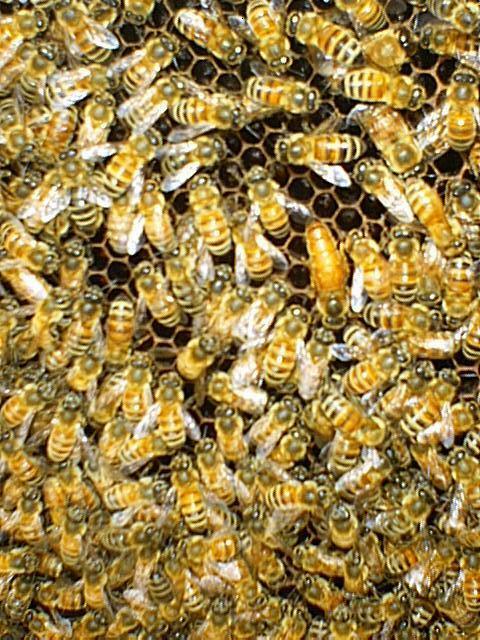 At this time you can pick up a few frames and from the number of available brood you can evaluate the quality of the queen bee. The maximum time allowed for this to work for one family of bees – up to 7 minutes. The third time you work in the apiary is the second half of June. In the presence of a productive first honey harvest is necessary to cleaning pumping honey supers from the store before the main honey flow. Maybe in July will be a good harvest. Honey is likely to be few, but just the day you can practice on the extractor, pump for yourself some fresh honey. Be sure to set a second store extension. Time to work with the hive is 5 to 7 minutes. 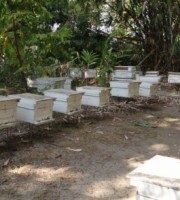 Time your fourth visit apiaries affected by the quality of the main honey flow, and plannes for the beginning or middle of August. Recommend to carry out this work before the end of the main honey flow, but in practice, due to the fact that not all cells are sealed, the beekeeper himself determines the time of pumping honey, removing unnecessary packaging and unnecessary combs. This work must be 5-10 minutes. The fifth time you open the hive is the second half of August, immediately after removing the store supers to determine fodder stocks and, if necessary for fertilization. All work on introducing incentives or replenish fertilizing winterstocks is necessary to finish by the end of August. To conduct this examination is required from 7 to 10 minutes. 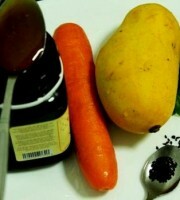 To make dressing – 1-2 minutes. In mid-September, you should make efforts to prevent varratoza, putting in the center of hive acaricidal strip. 1. Novice beekeeper should think carefully about what he is going to do with the hive and visualize the entire course of the work. 2. Prepare everything that you might need by taking the time: inventory, housing, feeding, replacement hives. It all depends on the nature and volume of performed work . 3. Thoroughly wash your face, hands, not abusing perfumed soap. When it’s hot it is better to take a shower. 4. Properly wear protective equipment so the bees do not have access to the naked body. 5. Kindle smoker with dry rotten, they give a lot of smoke. And do not forget to take a supply of wood! Do not be in business without the working smoker and don’t give up work in order to rekindle smoker. Inspection procedure of family of bees. 1. Come to the hive from the side, usually “under the sun” for better visibility. 2. Let in a few notches of smoke. 3. Carefully remove the pan and put to the back of the cover, the roof to the hive. 4. 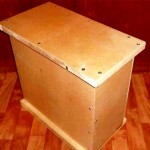 Carefully take out the pillow and put in the hive cover, so it does not get dirty. 5. Inspection begins at the frame at the edge. Energetically, but not abruptly along the frame, open the lap. If you shoot it across, you can pull out or push in tight frame glued to it with propolis and unwittingly crush bees. Open framework and quickly give two or three puffs of smoke, put lap on a nest tightly covering all the frames that the bees, which are on top, could not go with honey from hive before time. 6. No earlier than in one minute start to dismantle the nest and spend the planned work. Beekeeper stands left to the hive. 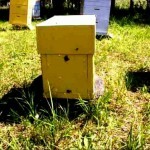 Two or three highest frames immediately remove, inspect and put in a portable box with bees sitting on them. Box immediately shut with a cloth. You make more space to explore the hive. 8. In order to get a frame from the hive, you gently peel it off the bee hive from the walls of a chisel, firmly take a hanger and gently remove from the hive up, trying not to pin down bees sitting on the walls of the hive and the side rails of the frame. You should hold the VIEWING frame only over a hive so that bees fall not on the grass or on the ground but back to the hive. If you keep it flat, then warm, soft cells can bend, or worse, fall under the weight of honey. 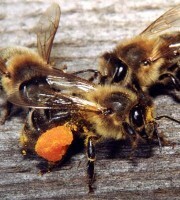 And during honey flow such a situation can result that honey spill and lumps of just brought pollen drop. 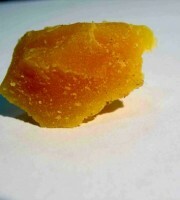 During such work properly use spare lap and just lay inspected cells with it . The nest is not completely open, it is better to move the main lap during the inspection. It is advised not to forget the smoker and from time to time, as soon as the bees begin to nervously run on a frame or jump out of the cells, to give them a bit of smoke. But it all depends on the excitation of bees, sometimes it happens that the bees are very quiet and the smoke unnerves them only. Put checked framework very carefully, trying not to touch the inner walls of the hive, into the slot, and also carefully remove following ones from the hive . Nest is collected in reverse order. Sometimes beekeepers have to inspect the nest family that already has an extension. Then, as always, first let smoke into notches, then over the frameworks. Remove it and place it on a table or better on the cover hive. Immediately smoke on an open frame and cover their nests by cloth prepared by the size of hive . Very often you need only a partial inspection of the hive. For example, when you want to make sure that the young queen bee start laying eggs. To do this, immediately remove the frame, but not over the edge, but from the center of the nest and check eggs or larvae, put it back, and then close the hive. If the frame does not show excavated oviposition, then watch two or three frames, until you see the brood, or you are sure that the uterus has not yet started laying eggs. Weather conditions with an open hive. – The temperature in the shade at least 15 degrees. 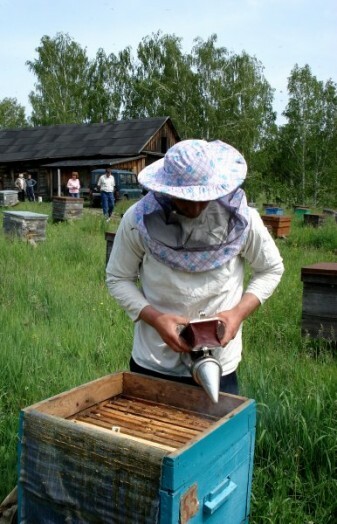 If the beekeeper works at temperatures much lower than this, the frameworks that he holds in his hands, must be covered with spare lap to prevent hypothermia, and when there is no honey flow – to prevent aerial bee thieves. Some beekeepers are not spoiled by the heat, but sometimes they have to work with the hive with temperature of 10 degrees of Celsius (50 F). Sometimes you need to open hive in the cold to inspect the nest immediately after the spring fly, to clean the bottom of dead bees and winter debris, check for food and uterus. In extreme cases, for a short time, in the fall specialists allow the possibility of opening the hive at a temperature of 4-5 ° C (41 F). In all cases, you need to cover the laps. Although such extreme it’s better to avoid. Novice beekeeper should remember a couple of truths. First, work in a nest of bees can not be interrupted before its completion and, secondly, any examination of the bee colony is made only when necessary. You can not inspect the hive in the rain. After each visit the family of bees stop working for 2-4 hours, and if it happens during the honey flow, you lose some amount of honey. 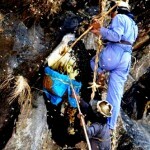 They are forced to spend time and effort to correct damage caused by clumsiness of the beekeeper, and even with careful work slight interference with bees always does them harm. Different bees dispose honey, ambrosia and brood not the same, so during the inspection you should not move socket cells, not to create more work for bees to restore the old order. From the first flyby in the spring to the last in the autumn in all normal families bee have brood. 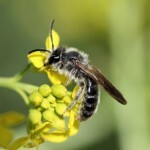 In nests, in places where there is brood, bees maintain a high temperature, 34-35 ° C (95 F). 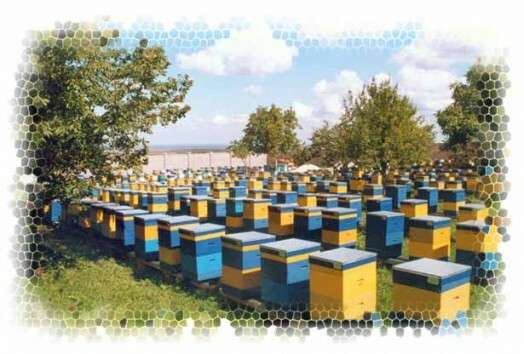 In some countries the ambient temperature, even in the warm summer – in June and July is below than inside the hive. Revealing the hive and removing the frame, the beekeeper cools part of nest with brood. After the inspection, when the beekeeper closes cooling nest, bees have to raise it up to normal temperature by its own heat. This is a good article as a guide for apprentice. tnx. Hey , I am in the work beekeeping at 10 years . I learning language English 2 years . I,m marred and 26 years old . I love for live and my job do travel .let,s my with you work . Thank you very much .